Noxious weed display at the North Coast show, Nambour, 1960 (Heritage Library, Sunshine Coast Council). A weed is usually defined as a plant out of place. Here we extend the idea of weediness to other biota and whole landscapes. We first consider the history of garden aesthetics as a major driver of deliberate plant introductions (94%). Secondly we examine the biota that accompanied European settlement, supporting the colonial project (ecological imperialism). Pasture grasses and stock worked as foot soldiers of empire, often ahead of the human settler frontier. Because of long continental isolation, Invasion Biology is a key science in Australia. 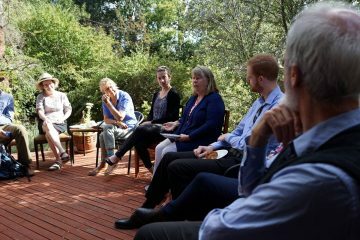 Part 3, Fear of Ferals focuses on how science and historical ideas of nature shape ecology, aesthetics and identity, and Australia’s role in global biodiversity management. Cameron Muir, The Broken Promise of Agricultural Progress: An Environmental History (Routledge Earthscan, 2014). Shortlisted for the 2015 NSW Premier’s History Awards for the Community and Regional History Prize. Controlling Aliens: Invasion biologies and theorising the native. November 2012, Environmental Humanities Laboratory, Royal Institute of Technology (KTH), Sweden. 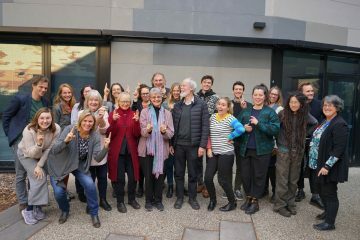 Read a report on the workshop by Lesley Head of the Australian Centre for Cultural Environmental Research (Facebook page). Research Partners: the National Museum of Australia and the Royal Botanic Gardens, Melbourne. Dave Kendal, ARCUE, University of Melbourne. Sharon Willoughby, Fenner School, ANU.